Nice condition, some marks of use. Soft cover. Contains all basic instructions for soldier how to protect from various chemical weapons. Some pictures, diagrams and other vital information needed to survive and fight. The men trained by these doctrines, were the strong backbone of Finnish army during the Winter War. Finnish Civil guard shoulder insignia. 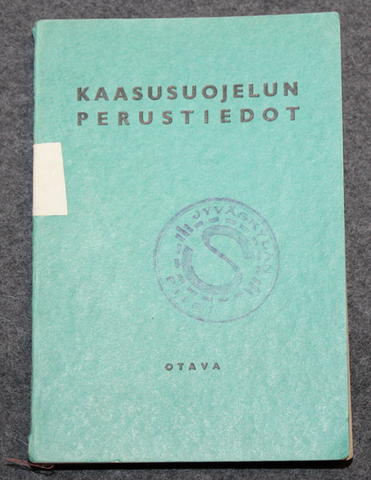 Hakkapeliitta magazine, vol 1938. Finnish Civil guard. Finnish home guard, cockade: North & South Tavastia district. Finnish home guard, cockade: Jyväskylä district.